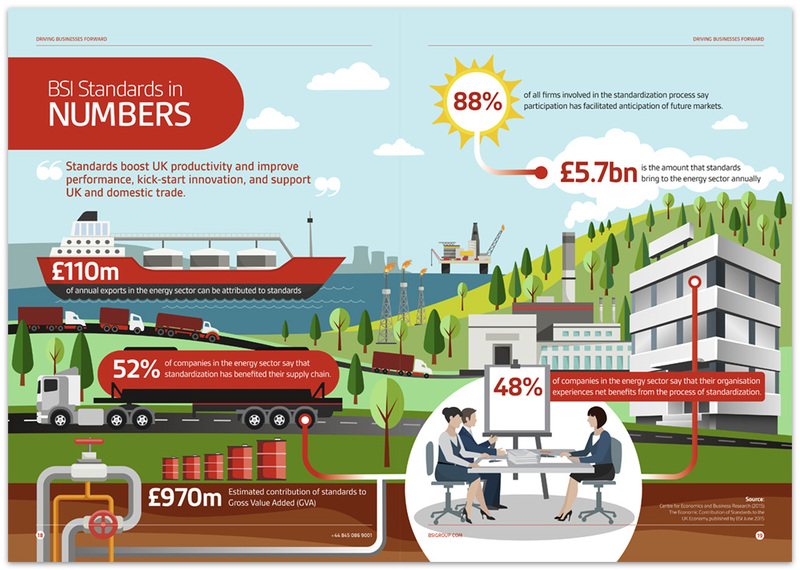 BSI is the UK’s national standards body, helping organisations in 182 countries embed excellence into the way people and products work. 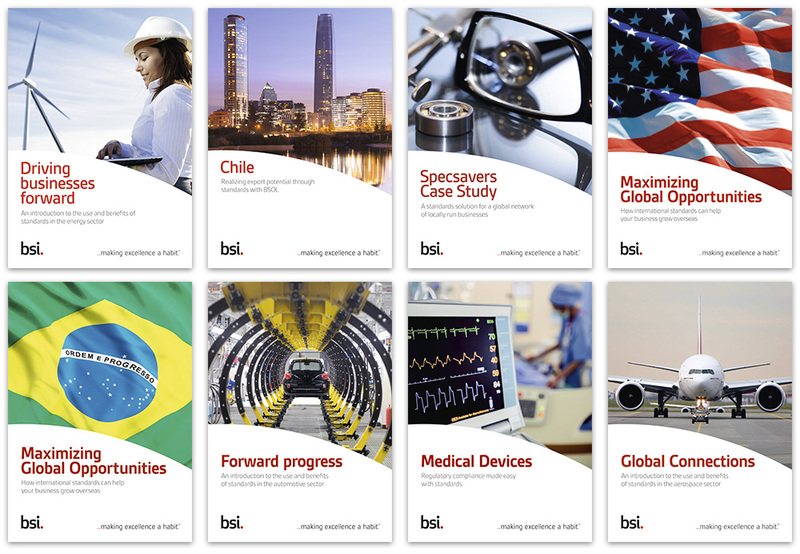 Since 2016 I’ve worked with BSI through FUGU PR to design a series of international reports based on existing branding guidelines. Each report references key economic trends and technologies, relevant to the region or industry in question. I provided layout, illustrated infographics and iconography in print and digital versions. Anthony's done a great job for us on a number of different client projects over the past few years. His simple, modern approach to presenting complex analytics to a broad audience attracted him as a design partner for Fugu. We've valued his open and honest approach and his reliability and flexibility - either from our brief or directly with the client. Eight reports laid out between 2016 and 2017. 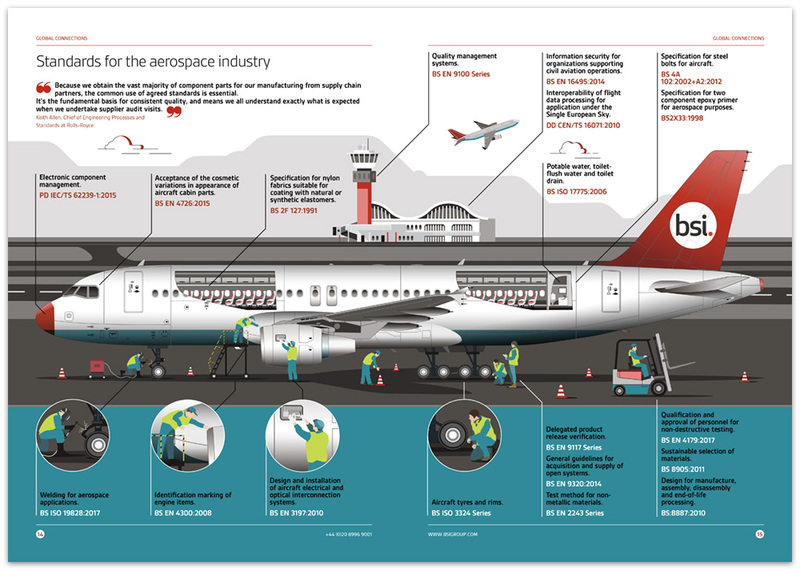 Technical illustrative infographic for the BSI Aerospace Report. I used reference photographs of a Boeing 737 which I then traced in Adobe Illustrator. Various export infographics for the Brazil and USA reports. 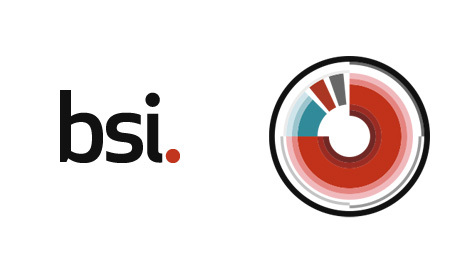 See BSI Reports 2018 for updated versions of the illustrative style. DPS spreads for the Brazil and USA reports. 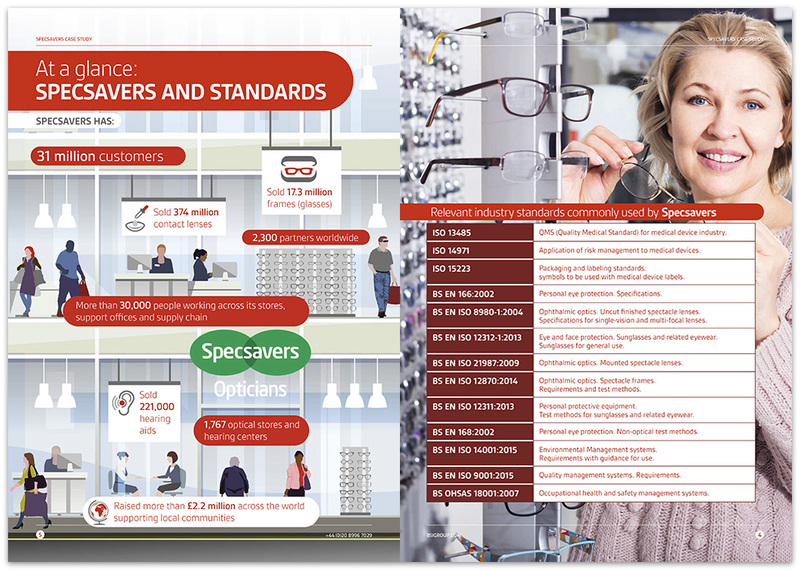 Illustrative infographic and DPS for the BSI Specsavers report. 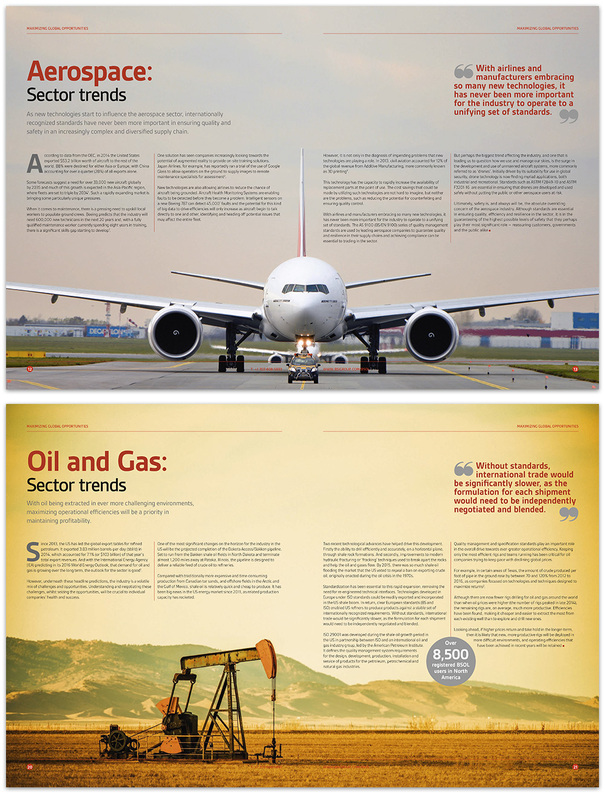 The original illustration style for the BSI Oil, Gas and Renewables report, before we pinned down a more restrained colour palette.